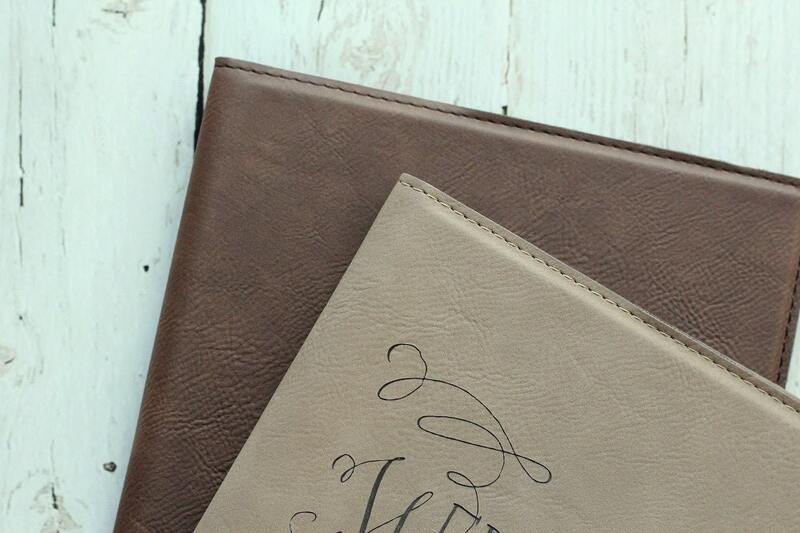 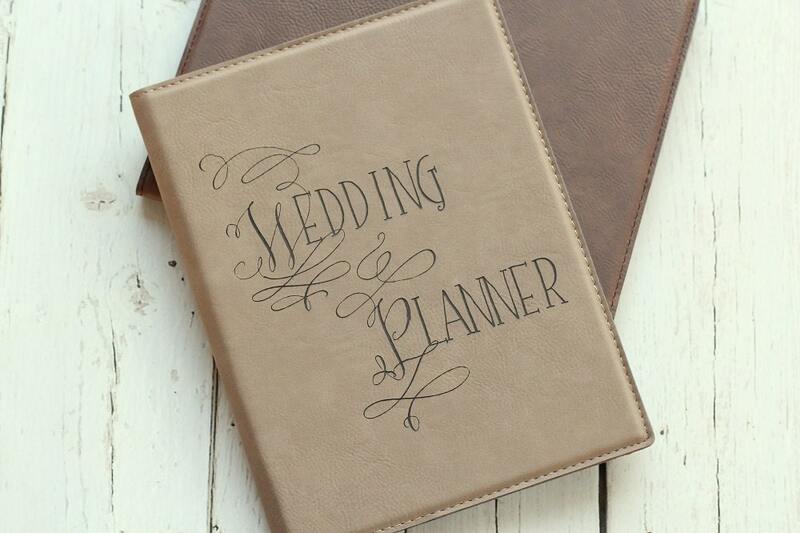 Laser engraved 'Wedding Planner' leather Portfolio with Notepad. 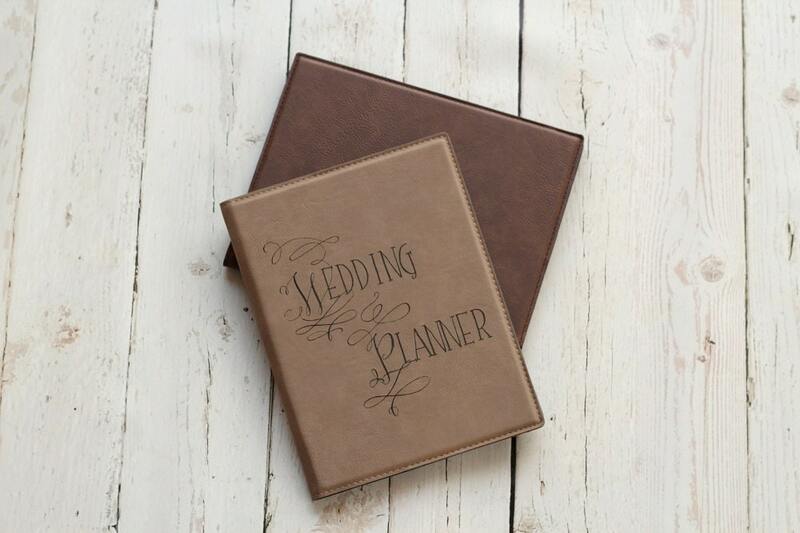 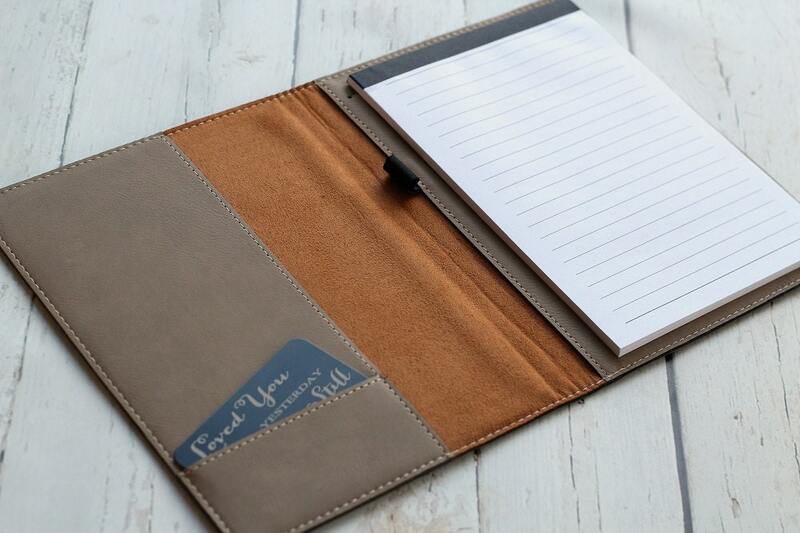 Available in Light Taupe or Chocolate Brown color leather with the wording 'Wedding Planner' laser engraved onto the front cover. 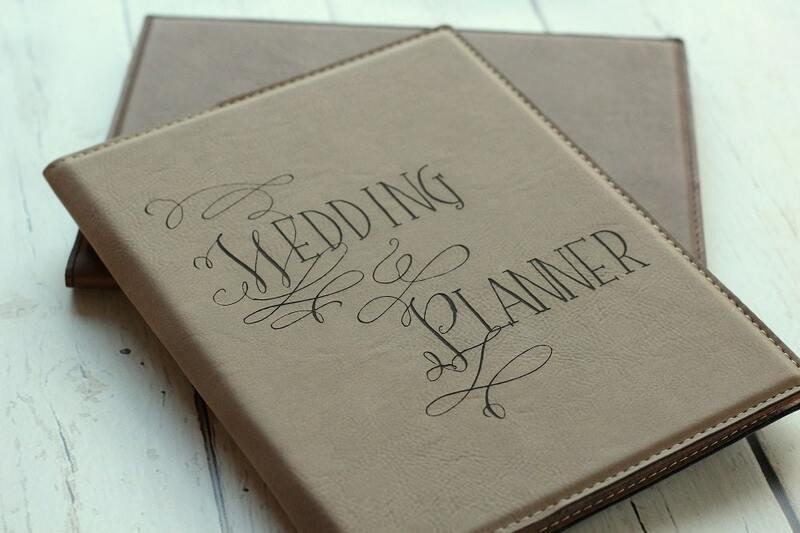 If you would like a custom image or wording engraved onto the cover convo us with details.